BBSS Groups and meetings are primarily found along the eastern seaboard of the United States. The BBSS approach to recovery clearly states that: guides and workbooks are “other methods,” and other 12-Step literature, AWOL’s, treatment center step work, Joe and Charlie seminars and tapes, the 7 deadly sins, assets-liabilities checklists” etc. are not permitted nor discussed at a BBSS meeting or group. 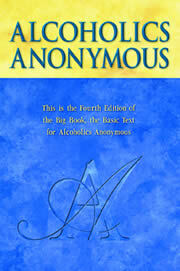 BBSS are a 15 week step rotation or cycle whereby the first 7 Chapters of the Big Book of A.A. are studied. Step Rotation can be found here: http://www.bbstepstudy.org/rotation. Members of A.A. who have completed their 4th step and are working on Steps 9-12 may share during a BBSS meeting. Those members who have been through the process often qualify themselves by by saying that they have done the 12 steps as directed and laid out in the Big Book of A.A. with a BBSS sponsor. This differentiates them from those AA’s who are not familiar with the BBSS process. Sharing is generally kept to no more than 5 minutes per person and is only on the Step being studied on that particular week.